She was just a lonely 6.0 at An auction until I laid eyes on her. I was the highest bidder and made her all mine. She ran strong until I hooked up to my stock trailer, she lagged and blew white smoke. I did the EGR delete kit the evening I got my wisdom teeth pulled along with the aftermarket oil cooler. She is tge best running 6.0 I have ever seen now! Blue is my daily, but if you treat her right, she'll treat you right. 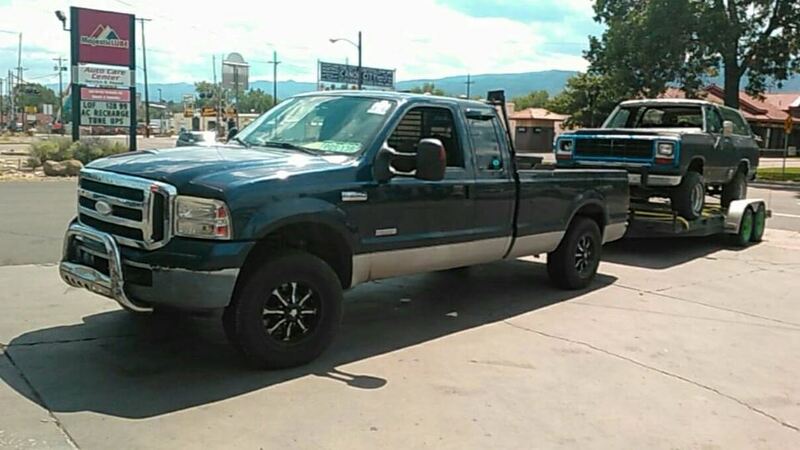 Big blue cleaned up to go on a date with her bf. The 65 mustang cleaned up also for the date! !She finally got clean! !